The Washburn region recently celebrated the dedication of the Landgren-Hauck Wildlife Management Area (WMA), an expansion of the Painted Woods Lake WMA in McLean County. This is an exciting project for the region and a great example of cooperation among stakeholders with diverse interests. While the expansion of the WMA was itself a huge first step, flood control is a driving force behind the project, led locally by McLean County citizens, area landowners, the county Water Resource District and county commissioners. Moore’s engineers, who are under contract to the McLean County Water Resource District, are working with stakeholders to obtain funding and develop the best plan to protect private property, reduce flood damages to agricultural lands, manage Painted Woods Lake and improve wildlife habitats. One of the main causes of flooding is the restriction of water flowing through the lake, which has brought flooding to adjacent farmland for the past six to eight years. The flooding is caused by 10- to 12-foot-tall cattails and years of sediment buildup. We have two proposed high-priority projects that should be a good start toward preventing area flooding. The first is a high-flow channel improvement project and repair of the Painted Woods Lake outlet control structure. The second project would mechanically dredge several of the lake’s most sediment choked areas. As part of the solution, Moore Engineering is pursuing the use of an existing natural channel known as Goose Creek on the east side of Painted Woods Lake. This channel is now largely filled with sediment, much of which came from old farm practices that allowed much more soil erosion than today’s methods. Opening the approximate 7,000-foot-long channel will provide more capacity for flood flows to enter Painted Woods Lake, avoiding damage to nearby private lands. In addition, this improvement project would include habitat improvements for waterfowl, such as excavations that would fill with flood waters and form wetlands. This outlet control structure at the southwest end of the lake needs to be replaced. Preliminary design for the replacement outlet control structure includes water level and flow control for Painted Woods Lake as well as a fish passage. 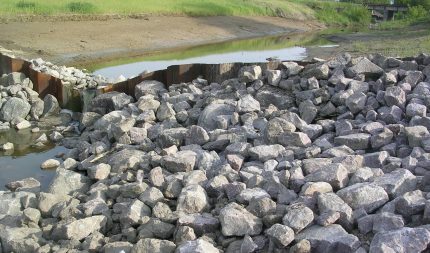 An aging outlet control structure at the southwest end of the lake needs to be replaced to provide optimal lake level and flood flow management. 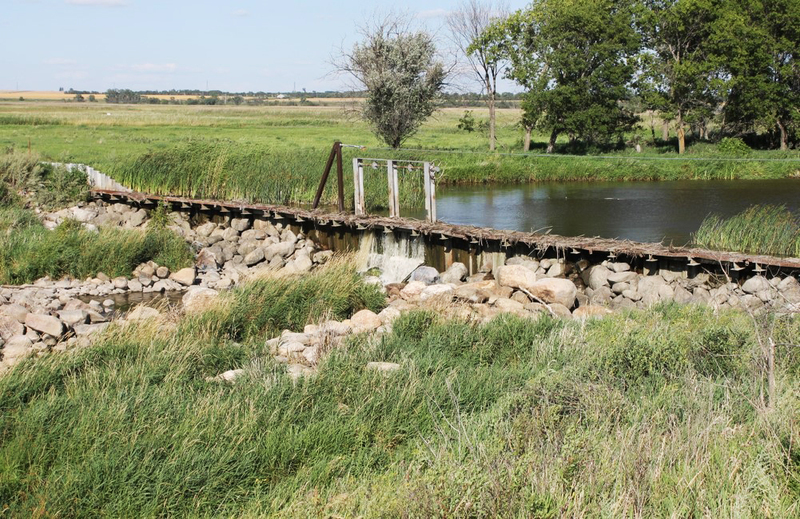 Aside from its deteriorating stature, the outlet control structure blocks fish passage from the Missouri River into the Painted Woods Creek watershed. The Missouri River has a diverse fishery, which formerly supported the fishery of Painted Woods Creek, enhancing the fishing in the creek. 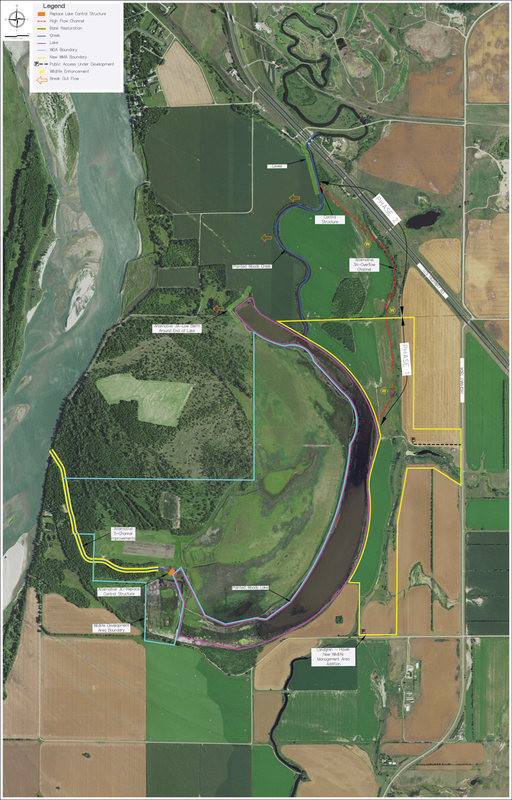 The preliminary design for the replacement outlet control structure not only includes water level and flow control for Painted Woods Lake, but will encompass a fish passage that will allow the migration of desirable sport fish into the creek. Moore is actively pursuing funding for these projects. There are a large number of stakeholder groups involved, increasing the complexity of the overall project. The following details may seem overwhelming for a blog post, but we’re including them to demonstrate the complexities of the project. 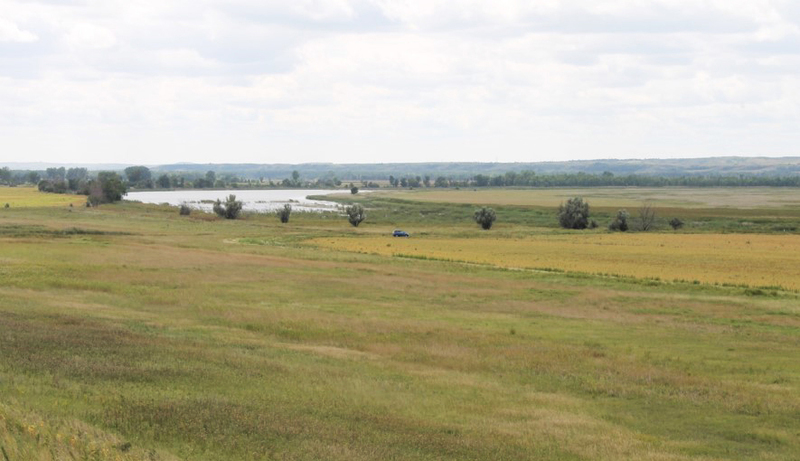 The property to expand the Painted Woods Lake WMA was purchased by the American Foundation for Wildlife through the organizational efforts of the North Dakota Natural Resources Trust (NRT), and funding assistance from NRT and the North Dakota Department of Game and Fish (NDGF). Ownership of the property has been transferred to the NDGF, who will manage it. Land in the area is owned by private citizens, as well as the state and federal governments. Other stakeholders include the State Water Commission, the N.D. Department of Game and Fish, and the U.S. Fish and Wildlife Service. Furthermore, Painted Woods Lake, with a 310 square mile watershed, has a tributary that flows north toward New John’s Lake, ending just a half mile short of the lake. The Bureau of Reclamation and the Garrison Diversion Conservation District discharge water from St. John’s Lake into Painted Lake Creek. Thus, these two agencies are also project stakeholders. 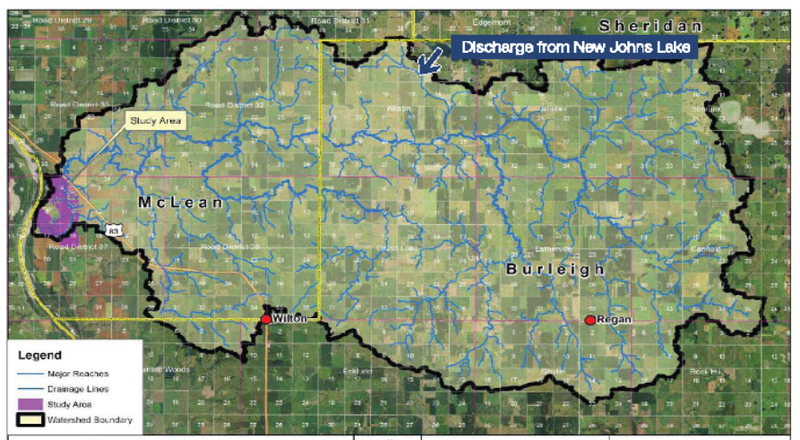 Finally, one-third of the Painted Woods Creek watershed is in McClean County, with the other two-thirds in Burleigh County. Needless to say, there is an extraordinary amount of coordination and cooperation needed for this project to come together. This conglomeration of proposed projects is a perfect example of how Moore Engineering coordinates multiple groups to achieve a goal that will improve lives in the entire region.